“Need we be astonished if Saint Augustine assures us frequently that the whole Christian life is only a long-continued direction of the heart towards that eternal justice for which we sigh here below. Our happiness lies in being always satiated with it. Now, this thirst is a prayer: desire, then, this justice unceasingly, and you will pray unceasingly. Do not imagine that it is necessary to utter a long succession of words, and to put oneself to great trouble, in order to pray to God. To pray is to ask Him that His will may be done, to form some good wish, to raise our hearts to God, to sigh for the good things which He promises us, to grieve at the sight of our miseries and of the risk we run of offending Him and violating His law. “It is the death of the Eternal Word of God made flesh, which is our great lesson how to think and how to speak of this world. The young ‘Mr. Norrice’ mentioned above became, on the death of his father, Sir William Norris of Speke. He adhered to the ancient Faith, and had a strange altercation in 1631 with Mr. More, complaining that this latter ‘had been too precise in examining the church-wardens touching his, Sir William, not coming to church and that it was ungentlemanly dealing.’ Unfortunately the ‘altercation’ was not limited to words, for Sir William Norris later ‘drew his sword and struck the Plaintiff therewith, he being then a Justice of the Peace,’ for which assault he was fined £1,000 and ordered to pay the plaintiff £50 damages. Thomas Norris, son of Sir William, who compounded for his estate during the Civil Wars for £508, was probably the last Catholic owner of Speke. 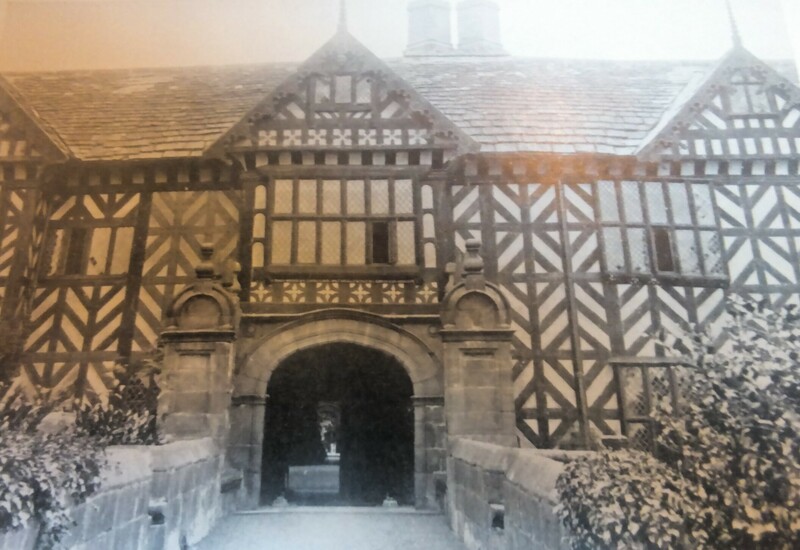 The property was sold in 1797 to Mr. Richard Watt, but in accordance with the will of the late Miss Watt, who died in 1921, Speke Hall will again return to the Norris family. It was not long after the Norris family had ceased to be Catholics, that the Molyneux family came to assist the Catholics at Woolton. About the year 1700 Hon. 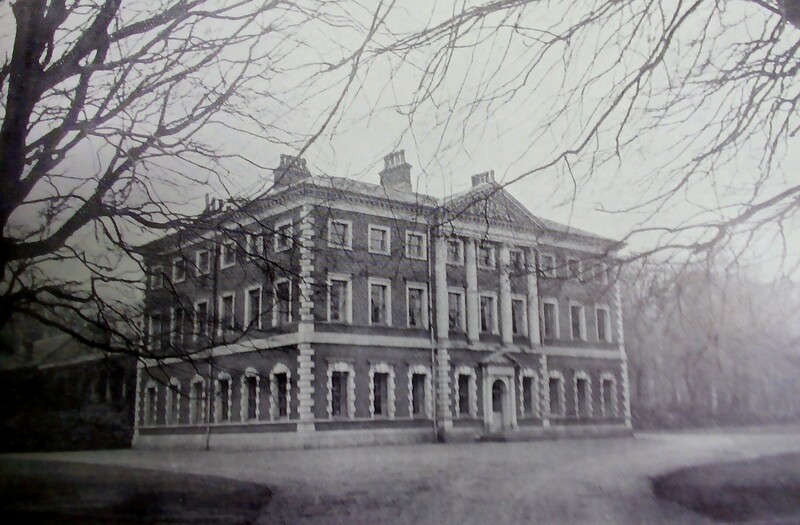 Richard Molyneux purchased the Woolton Hall estate, comprising the Hall and about 400 acres of land. He was then, says Mr. C. R. Hand, contemplating marriage, and like other young men in similar circumstances he became anxious about the house, and like some young men he paid for the house out of the money which his wife brought him. Although Richard’s father died in 1717, and he then succeeded to the title as Viscount Molyneux, he continued to live at the Hall until his death in 1738. Religious, political, and financial difficulties prevented him from moving to Croxteth Park, the family seat. On May 8, 1728, he made an important agreement with his lawyer, Isaac Greene, who charged in his bill for attending his Lordship at Woolton, and thus the view that Lord Molyneux lived on at Woolton is confirmed. It has recently transpired that in consequence of fines for recusancy and other disabilities the family was at this period in such straits that Isaac Greene, shrewd lawyer as he undoubtedly was, proposed to take over all the Molyneux estates and allow his Lordship a small annual income. Fortunately the kind offer was not accepted! The family was in dire straits in consequence of government fines for recusancy etc. During the Jacobite troubles of 1715, Lady Molyneux invited Dom Richard Holme, or Helme, of Goosnargh, to officiate at Woolton as the first priest. He had previously been chaplain to the Molyneux family at Sefton and Croxteth Halls, but he remained at Woolton until his death on December 18, 1717. Father Holme was succeeded by Dom Lawrence Kirby, who resided at Woolton till 1731, when he was removed to Childwall, dying there on July 18, 1743. He was followed by Dom William Lawrence Chapney, who died at Woolton, April 21, 1732. Dom Placid Thomas Hutton was the appointed chaplain, officiating at the Hall until his death on May 17, 1755, and after him came Dom Edward Bernard Catterall. Lady Molyneux continued to reside at Woolton Hall until her decease, and she was buried at Sefton, March 20, 1766. During the year before her death, in order to provide for the continuance of the Mission at Woolton, she gave twelve acres of land to the Order of St Benedict, and a chapel and presbytery, to which the name of St Bennet’s Priory was given, were erected, under the direction of Father Catterall, in Watergate Lane. On its completion Father Catterall took up his abode there permanently. This was probably occasioned by the proposed sale of the Hall to Nicholas Ashton. Father Catterall died at the Priory on September 9, 1781. The noted Dom John Bede Brewer, D.D., was the next priest, coming from Bath, where his house and chapel had been burned down and demolished by the members of Lord George Gordon’s ‘No Popery Association.’ Dr. Brewer was famous as an erudite and brilliant theologian, and became later President of the English Congregation of the Order of St Benedict. It was on his invitation that the “black nuns” of the Benedictine Order came to Woolton, where they opened a seminary for young ladies in 1795, and in 1808 they removed to Abbot’s Salford, Stratford-upon-Avon. They are now settled at Stanbrook Abbey, near Worcester. Another account gives further details. On one occasion, when a party of Carmelite nuns had been beheaded, their clothes were taken and given to their English sisters in the prison. When the dresses of the murdered nuns were brought to them, the recipients received the gift on their knees, kissed them, and wet them with their tears. Thanks to the nuns being English, they did not suffer death, and when food became scarce they were liberated. They made their way across the Channel to Dover, thence to London. A Mr. Holt, a Lancashire Protestant minister, came across the distressed ladies at an inn, amid uncongenial surroundings, and he kindly undertook to find a better lodging for them. Dr. Brewer, of Woolton, hearing of them, invited the party to come to Southwest Lancashire; so, in 1795, they travelled down from London in three parties by stage coach to Woolton. Here they found employment as teachers of the seminary in connection with the Benedictine Mission in that ancient village. In 1818 Dr. Brewer left for Ampleford College, but he returned to Woolton, where he died on April 18, 1822, and was buried at St Peter’s, Seel Street, Liverpool. His office of President of the Benedictine Order occasioning frequent duties elsewhere, he was assisted by Dom James Maurus Chaplin, Dom Stephen Hodgson (died April 9, 1822), and Dom James Calderbank (died April 9, 1821). Dr. Brewer was followed by Dom John Jerome Jenkins, who only remained here five years, being succeeded in 1824 by Dom Samuel Maurus Phillips. The latter was a man of great ability, ‘and drew large congregations’; in 1828 he enlarged the chapel, soon, however, to be in its turn too small for the Catholic worshippers of the district. Father Phillips died in 1855, and was buried in the little cemetery. Among others buried there have been a number of Catholic Irish, who, in 1847 (the fever year), had fled there, seeking in vain to escape the pestilence, Mr. Lomas, of Allerton Hall, and Mr. H. Bullen. The latter in his day was a public man; his name appears frequently in the Road Surveyor’s book, he having signed these records of the old township of Woolton. When the vault of the Bullen family, which is now overgrown with ivy, was opened to receive the body of a child, a corpse was exposed, which was found to be petrified. It was taken to a pond, washed, and replaced in the grave. In the wall of the garden nearest to Woolton Hall are two pillars. These indicate the site of the gate through which Lady Molyneux, the original foundress of the Mission, came to the church. The path through the graveyard garden is decorated with patterns formed of stones, mostly small cobbles, of a Maltese Cross, a Heart, a Monstrance, and other religious emblems. The Catholic population of Woolton becoming too great for the Priory chapel, it was deemed necessary to erect a larger place of worship, and the present church of St Mary was built by Dom R. P. Burchall, D.D., and opened on October 28, 1860. Dr. Burchall lived for some time at the Priory, and was the first to be buried in the grounds of the church, where his body now lies in the south-west corner. His funeral in March, 1885, was the occasion of a most imposing demonstration, as he was regarded by ‘Roman Catholics’ as by actual right the lawful Abbot of Westminster. In 1870 Father J. P. O’Brien built St Mary’s presbytery and schools; Father J. P. Whittle, in 1878, enlarging the schools, and adding new vestries, confessionals, and a handsome cloister to the church. The old chapel being no longer required, it was pulled down in 1872, and an addition made to the Priory on a portion of its site. There is thus nothing at all left of the former chapel. The year 1910 being the fiftieth anniversary of the building of St Mary’s, the Rector, Rev. Vincent Cornet, considered it a suitable opportunity for a complete renovation of the church, which was carried out at a cost of £1,000. The church is now considered by all who visit to be very beautiful. It may further be mentioned in connection with the Priory and its chapel that the addiwere, on the left-hand side of the doorway, was mainly built of the materials of the old chapel, and erected on part of its site. The lawn immediately in front of that portion of the house is the old burial-ground. The grave-stones were levelled, and are a few inches under the surface. The right-hand side of the house is the original presbytery. Local tradition asserts that a subterranean passage under the meadow once afforded communication between the Hall and the Priory chapel. There is preserved in the presbytery a chalice of pewter. It measures 5 3/4 inches in height, is 3 1/8 inches across the foot, and 3 inches across the bowl. It has been in the possession of the priests at Woolton for many years, and was in all probability unearthed in the old Priory burial-ground. It is now so corroded as to give it the appearance of having been at one time embossed. Mr. Charles Hand, whose ‘Notes on Woolton’ we have been following, seems to suggest that being of pewter it could not have been used in the Mass, but was merely a ‘coffin chalice,’ used at the internment of some priest. These pewter chalices are, however, so common in Lancashire, and so often occur in company with sets of vestments and other things, uncountably forming a part of the priest’s baggage, that the prevalent opinion now is that in times of persecution the priests were so poor and the danger of robbery so great, that chalices of pewter were in common use. When nicely polished, the pewter chalice could with difficulty be distinguished from that of silver. Woolton Village Cross: Crux Potestas Dei (The Cross is the Power of God). Colonel Reynolds, in a letter of apology for non-attendance at the opening, wrote that they had indeed come to better times in Woolton. He remembered his father begging to be allowed to be the custodian of the cross years ago, when it was demolished to allow for the widening of the Speke road. He had respected those ancient monuments of religious feeling in days gone by. The chairman of the meeting, Mr. Arthur S. Mather, through whose generosity the restoration had been made, said that the last act of the Urban Council was to arrange to have the old village cross restored, so that when the district was handed over to Liverpool they might hand over the cross renovated and restored as a momento of the good old times. How does the silver chalice dated 1697 fit into the picture? An interesting link between Woolton and the Molyneux family is the silver chalice, now at St. Alexander’s, Bootle. Dean Powell stated that in 1875 he bought this chalice from a dealer in old silver, who had thought of melting it down. It stands 7 inches high and weighs 13 ounces. On the underside of the foot is engraved in Roman capitals of the time: EX DONO D. C. MOLINEUX DNO RICHARDO HOLME ANGLO-BENED 1697. The giver of the chalice was Caryll, third Viscount Molyneux, who with his brother Richard raised two regiments for the King in the great Civil War, and was outlawed by Parliament. He died at Croxteth February 2, 1699. The recipient of the gift was Rev. Richard Holme, mentioned above as Chaplain to the Molyneux family at Sefton and Croxteth Halls, and latterly at Woolton. Granting that Dean Powell is correct in his history of the Molyneux chalice, whence does the chalice now at Woolton come from? It is quite the equal of the Molyneux chalice, bears the hall mark H.L. and a lion passant, while on the foot is the lettering, ‘M.H., obiit Sepr. 2°, 1694.’ I had hoped to identify this with one of the Molyneux, so that the lettering would read, ‘Molyneux gave this chalice to Holmes.’ On the other hand, Dom Gilbert Dolan, O.S.B., in his paper to this Society (Hist. of Lancs. and Ches.) statestates that in 1717 Richard Hitchmough, the noted informer, deposed before the Commissioners for Forfeited Estates that ‘at Mrs. Harrington’s, at Aigburth, Co. Lancs., was one silver chalice and paten, which he had seen and used when officiating at the Altar there.’ But if M. H. refers to one of the Harringtons we have still to find out which Harrington died September 2, 1694; so far my enquiries have failed to do so. With reference to the statement that the Molyneux family had been greatly impoverished by fines, other examples, selected out of thousands are here given. The Norris family had an estate in West Derby, now marked by Norris Green. William Norris, of West Derby, had two sons, Henry and John, both living in 1566. Andrew, grandson of Henry, as a convicted recusant paid double to the subsidy of 1628. His children petitioned for annuities from the estate, which had evidently been sequestered for papacy. It was found that the sons were recusants, and a third of their annuities was allowed; the daughters were also recusants; the estates of Henry, the eldest brother, were under sequestration for recusancy. John Norris, brother of Henry, had three sons – Charles, Richard and Andrew – all Jesuits. But their cousin, Richard, son of Henry Norris, yielded to the persecution. Thomas Marsden, Vicar of Walton, wrote in 1681, asking a favour of him, as he ‘was not yet cleared in the Exchequer for his recusancy, and had heard his name was in the list of such as should have £20 a month levied upon their heads.’ Under these circumstances, the threat of fresh persecution, as the result of the infamous Oates plot, appears to have broken the resolution of ‘Mr. Norris, of Derby,’ who conformed to the legally established religion. It is a sad reflection that his apostasy did not save his estates; the family disappeared from notice, and all the property was later in the hands of a banker, of Liverpool (Vict. Hist., p. 37). Instances of the fines inflicted on the poorer Catholics of those days may not be without interest. William Ballard, a leaseholder in Speke, had two-thirds of his estate sequestered for recusancy. Margaret Harrison, a widow, of Hale, had two-thirds of her estate sequestered for recusancy, and on her death her grandson, Thomas Harrison, applied for the removal of the sequestration. Thomas Lathom, of Allerton, suffered the like penalty (Vict. Hist., p. 103). Thy perfect work of love. One Body with one Head. We break in thy dear name. And praise thy name, O Lord. In love and joy and peace. “One of the saints remembered by the Church [on] 30th July, is St Maria de Jesus Sacramentado. She was born in 1868 at Zapotlanejo, Jalisco, Mexico. She was the youngest of twelve children and her Mother died when St Maria was quite young. The family suffered financial hardship but they were bolstered by the father’s strong Catholic faith. The father died when St Maria was 19 years old and later she moved to Guadalajara, where she worked in a charity hospital called the Sacred Heart Hospital, staffed by a lay group called the Daughters of the Sacred Heart of Jesus. St Maria joined these Daughters and served as a nurse, then as a pharmacist. At the age of 31 St Maria felt called to take religious vows, and under her leadership the Daughters became a Religious Order. St Maria was elected Superior. St Maria carried on this vital work in spite of revolution and guerrilla warfare. In 1925 the Mexican Government confiscated the property of the Church, including their hospitals, and drove the Church underground. Violence spread and the streets of Guadalajara were filled with blood. Catholic priests who refused to abandon their parishioners were arrested and executed by firing squad. Others were stabbed to death or hanged. Churches were reopened in 1929, but violent conflicts continued sporadically for many years. Throughout these years of difficulties, St Maria kept the Sacred Heart Hospital open, enabling its care and services to help those who were sick and wounded. St Maria died peacefully on 30 July 1959. Pope Saint John Paul II, in 2000, canonised her a saint along with 25 Mexican priests who were martyred in the revolution. WHAT HAPPENED TO LYTHAM, LANCASHIRE, AFTER THE GOVERNMENT’S DISSOLUTION OF THE CATHOLIC MONASTERIES? “At the dissolution of the monasteries, the former Benedictine Cell of Lytham, which had been a dependency of Durham Abbey, was granted to Sir Thomas Holcroft, a noted ‘trafficker’ in confiscated monastic possessions. He sold the property to Sir Cuthbert Clifton, and thus Lytham became the principal residence of the Cliftons, a family which had held large estates in Lancashire as early as 1258. Sir Cuthbert Clifton was a staunch Catholic, for at the dissolution of the monasteries he gave a home in his own house to Thomas Prymbett for the rest of his life, inasmuch as Prymbett had been the officiating priest of the Clifton Chantry at the parish church of Kirkham. The exact spot occupied by the Benedictine cell is unknown, but it is thought to have been on or near the site of the present Hall at Lytham; for in the walls of some of the offices attached to it, remains of the ancient monastic edifice have been incorporated. Sir Cuthbert Clifton built the first Hall in 1625 on his first possessing the estate, and a large room was constructed within it, most probably for a chapel. This remained unaltered when the Hall was rebuilt by Thomas Clifton in 1764. So far the Catholic Annual and I quite agree with the account; but when it goes on to say, ‘It was used for Mass up to the year 1800. It is now in existence and is used as a lumber room,’ these two sentences seem to me to apply only to the chapel wing, which was built in 1764, as the date cut in stone bears witness. Nothing more likely than that Thomas Clifton in 1764, when he was building the new Hall, would construct a special chapel and a priest’s room, and place these at the back of the Hall for secrecy, since emancipation had not then been granted. 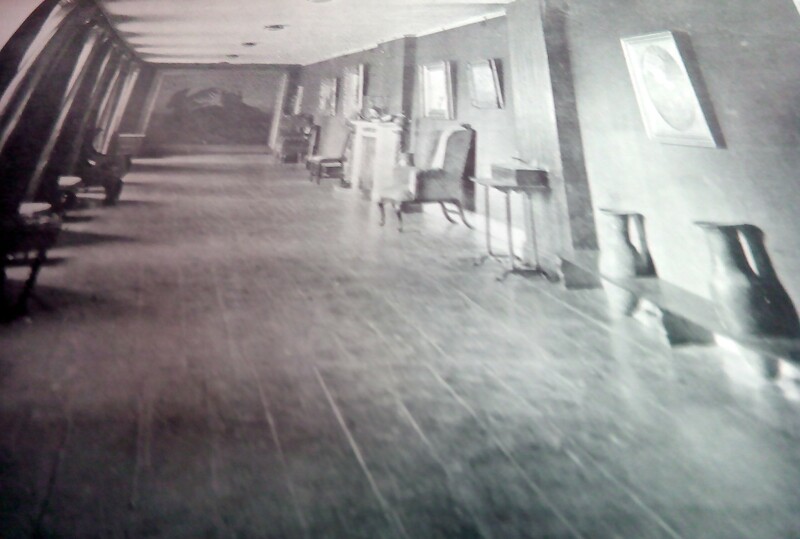 But the ‘large room’ constructed in 1625, and remaining unaltered in 1764, is the ‘picture-gallery’ so called. There would be little object in placing so large a room on the second floor of the house, unless it were that its size might accommodate the tenantry and neighbouring Catholics, and its retired position ensure the desired amount of secrecy. The above is confirmed by the practice, common in times of persecution, of speaking of the priest or chaplain at these Catholic houses as ‘the man at the top of the house.’ Our illustration shows ‘the large room,’ and here from 1625 to 1764 holy Mass was offered by the numerous priests who, in succession, served the Catholics of Lytham. The old oak floor, well worn by generations of faithful Catholic worshippers, comes out well in the photograph. In passing, it may be mentioned that similar ‘large rooms’ are found in many of the old Catholic houses; for example, at Speke Hall and at Astley Hall, near Chorley, both of which were built at the time when their owners were staunch Catholics. In any case, the site where the Hall now stands has been used for Catholic services, as a Benedictine cell from 1199 till the Reformation, and as a chapel of persecution times from 1554 to 1800. It certainly has associations venerable to the Catholics of to-day. From 1800 to 1839 Mass was said in a tythe-barn fitted up as a chapel, the priest living in a house close by. In 1839 the present church, dedicated to St Peter, was solemnly opened by Bishop Briggs, and thus the days of the Hall chapel, with its services in concealment and secrecy, passed away, and the Catholics of Lytham rapidly increased in numbers and importance in the town. MrMr. Gillow (Cat. Rec. Soc., Vol. XVI) gives a complete list of the priests who served the Mission of Lytham, of which the following is an abbreviation. The first was Rev. Lawrence Anderton, S.J., alias Scroop, alias Hart, who wrote many learned works under the pseudonym ‘John Brereley, Priest.’ He had studied at the University of Cambridge, where he gained the title of ‘Silver-mouthed Anderton.’ He published several controversial works, which were printed at the secret printing press at his cousin’s house at Lostock Hall, and later at Birchley Hall. At some period Father Anderton was apprehended and exiled, but he seems soon to have returned to the Mission, and it is probable that he became chaplain to Sir Cuthbert Clifton, when this latter removed from West by to Lytham till his death in 1643, aged sixty-seven. In 1629 we have the mention of ‘Anderton and Smith, two priests at Sir Cuthbert Clifton’s’ (Cat. Rec. Soc. Miss., III, 108). Father William Shackleton, alias Stanton, alias Bannister, S.J., succeeded Father Anderton at Lytham Hall, where he is found baptising many of the Cliftons. He died there in 1655, aged seventy-one. Father Augustus Heneage, alias Newby, S.J., came to Lytham in 1653, two years before Father Shackleton’s death. He was brother-in-law to Sir Thomas Clifton, whose wife Bridget was Father Heneage’s sister. From a letter of the Earl of Derby to the Duke of Albemarle dated from Lathom House, March 10, 1664, it appears that Father Heneage, like his predecessor, was an active controversialist. The Earl enclosed a letter, dated February 21, 1664, which apparently had been intercepted, from Augustus Heneage, ‘a supposed priest, living in Sir Thomas Clifton’s house, to Mr. Edward Keynes, S.J., who lived with Sir Cecil Trafford.’ Father Heneage had had ‘verbal skirmishes with his old friends, the Nigri (Anglican ministers), who showed ignorance and knavery,’ and asked Father Keynes to send him John Lewgar’s Erastus Senior, published in 1662. This book, says Mr. Gillow, whose account we are following, referred to the question of the validity of Anglican ordinations, and made so great an impression upon the Anglican clergy, who thereby became sensible to the defects of the ordination forms of the episcopacy and priesthood hitherto in use, that immediately after its publication in the year 1662 it was made obligatory by a decree of Convocation to use more explicit forms. In consequence both Father Heneage and Father Keynes had to fly from their respective stations. The former went to London, where he died a victim to the plague, January 18, 1669, aged fifty-two. 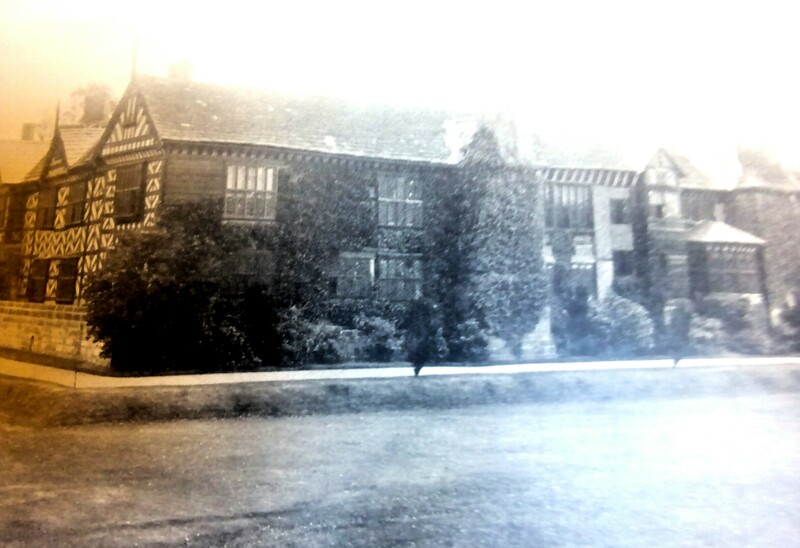 Father John Stevenson, S.J., came to Lytham Hall in 1676, and remained there till his death in 1692, when he was succeeded by Father Thomas Blundell, S.J., third son of William Blundell, of Crosby. Two years later Sir Thomas Clifton was arrested at Wrea Green, July 17, 1694, taken to the Tower of London, and brought back to Manchester to be tried for his life on a trumped-up charge of high treason, with Sir William Gerard of Bryn, and a number of other Lancashire gentlemen. He was acquitted, but the strain had been too great, and he died on November 13. It is probable that he died before he could return to Lytham. Anyhow, his body was carried to Kirkham for internment with his ancestors in the parish church. In 1791 Father Mansell, enfeebled by age, retired from Lytham, where he had been priests in charge for nearly fifty years. He died at Walton-le-dale, near Preston, in 1799, aged ninety. Meanwhile the Society of Jesus had been suppressed in 1773, and as the ‘gentlemen of the ex-Society,’ as they were called, gradually became reduced in numbers, they withdrew from the Lytham Mission, to which a Benedictine in the person of the Rev. William Blacow, O.S.B., was appointed, who remained till 1793. Dom Richard Pope, O.S.B., was here ten years – 1793 to 1803. It was during his incumbency that the chapel in the Hall was closed, and a tythe-barn just outside the park was fitted up as a chapel. The Mission was then handed over to the Bishop of the Northern Vicariate, who appointef Rev. Thomas Dawson. Owing to ill-health, he had numerous assistants, Rev. John Lawson being definitely appointed as his curate in 1820. Both these priests left in 1829 for Croston Hall, and later they together started the Mission at Mawdesley. Rev. Joseph Walmesley came to Lytham in 1829, and remained till his death in 1873, when he was buried at The Willows, Kirkham. In 1839 he opened the present church, dedicated to St Peter, and fitted up the new church with benches and other furniture from the old tythe-barn chapel. After being Rector of the Mission for over forty-four years, Mr. Walmesley died in harness, August 16, 1873, aged seventy-one, respected by all the inhabitants of Lytham, and held in affectionate memory by many people to this day.